I get the sherry influence, now that you mention it - maybe the cherry in the "cherry blossom". Spicy I didn't get. "Fruity" is a metaphor. It's a bunch of esters that I perceive as melon, pear, and flowers. Maybe its perception, maybe it's the batch. One thing I've learned, there is variations in batches. My Glenfiddich 12 experiences showed me a fairly wide divergence between the 5 year old miniature and the 2011 bottle. 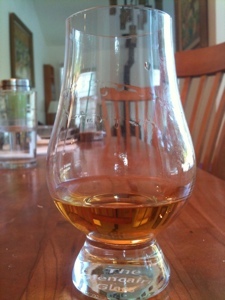 This pour of 15 Solera I had today was from a bottle that was being poured at Whisky Live in NY in April. 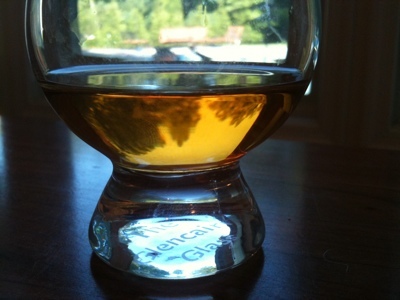 Funny, I wasn't so wild about this fruity floral flavor profile until the blind tasting. Now I've come to appreciate it more. It's more about nosing. The nose on the Solera 15 is just wonderful, particularly after half an hour of air. The entry is glorious too. That's the driving thing. It's delicate, floral, and lacy. It's the opposite of richness or darkness or peatiness (all of which I enjoy too). I have complicated feelings about GF's 15 Solera. In my own review, I found it to be fairly sherry-driven with some nice and interesting flavors, but ultimately a bit tepid. 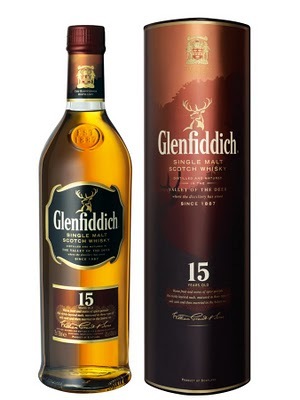 The Distillery Edition shows what Glenfiddich's whisky can be when they bottle it at a decent proof and I have a feeling that the underlying whisky in the 15 Solera could be just as good. But that character has been drowned, so it was hard for me to dig much out of it. I agree. Its sins are sins of omission, not commission. A lack of intensity is main issue and less dilution would help a lot. Never-the-less, what there is is quite nice, in my opinion - but only after extensive air. Say 30 minutes.